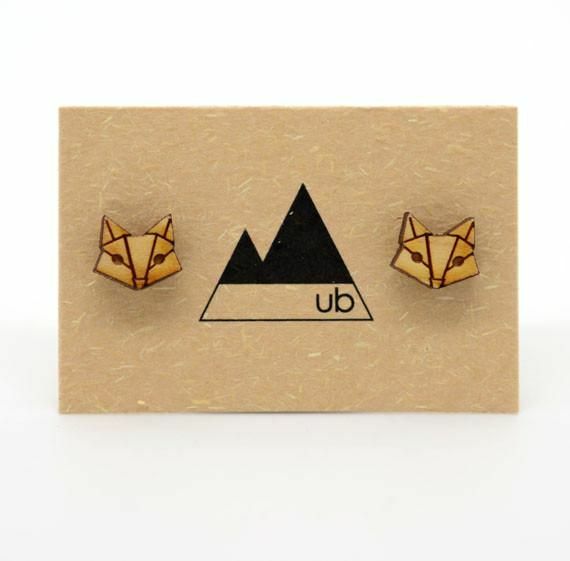 Little sly fox studs in wood. 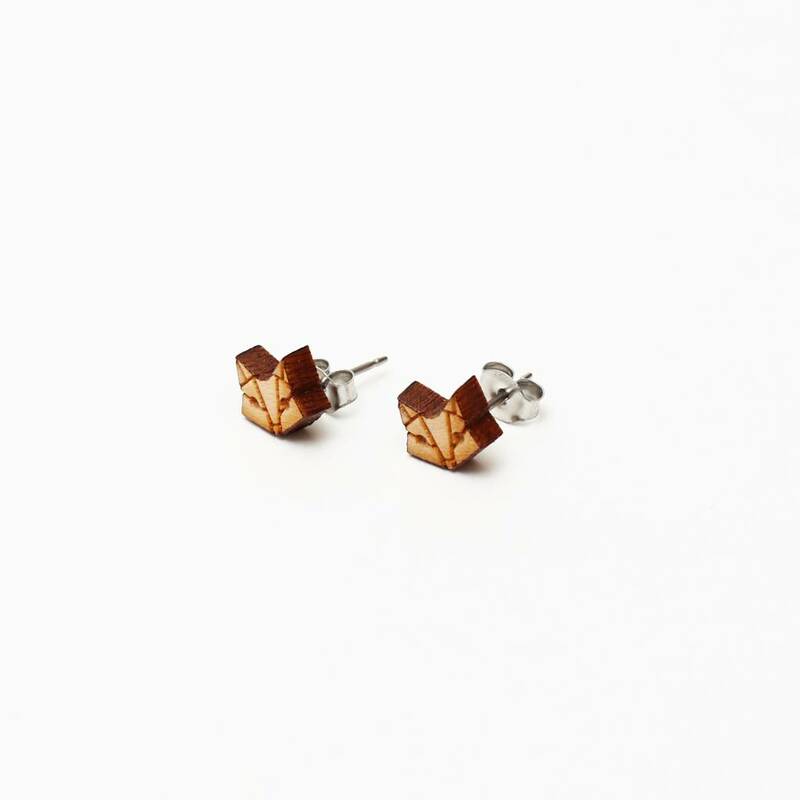 Little sly fox studs sit sweetly on your ears. These wood earrings have been laser cut using locally sourced off cuts from a nearby cabinetry shop. Each piece has been carefully sealed with a water resistant finish to help protect them from the elements. Please remove earrings before swimming and bathing, avoiding contact with water. Made in Kelowna by Ugly Bunny.